South Korea’s former prime minister and founder of the country’s spy agency Kim Jong-pil has died at the age of 92. Mr Kim was declared dead on arrival at Seoul’s Soonchunhyang University Hospital from his home on Saturday, said hospital official Lee Mi-jong. He described the cause of death as age-related complications. A retired lieutenant colonel, Mr Kim was a key member of a 1961 coup that put army Major General Park Chung-hee in power until his 1979 assassination. After Maj Gen Park seized power, Mr Kim created and headed the Korean Central Intelligence Agency (KCIA), a predecessor of the current National Intelligence Service, before serving as Maj Gen Park’s prime minister, the country’s number two post, from 1971-1975. Maj Gen Park used the spy agency as a tool to suppress his political rivals at home, including then-opposition leader Kim Dae-jung, who became South Korea’s president in the late 1990s. 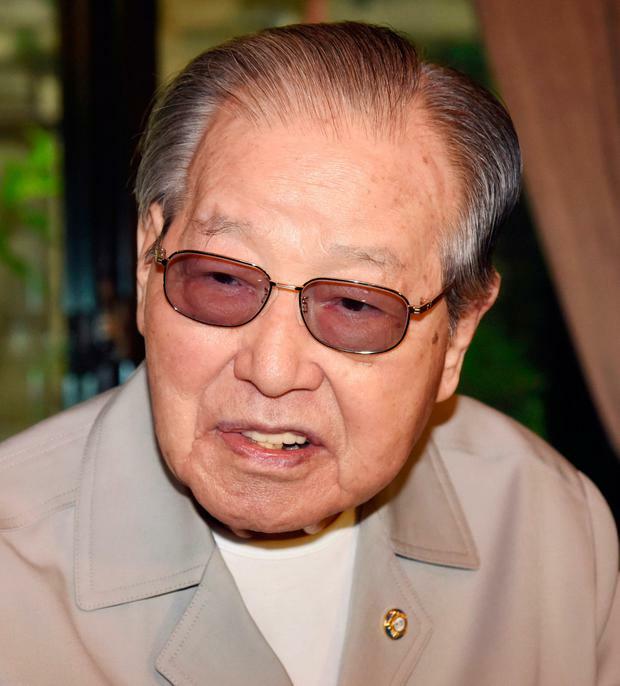 A government fact-finding panel said in 2007 that KCIA agents kidnapped Kim Dae-jung from a Tokyo hotel in 1973, days before he was to start a coalition of Japan-based South Korean organisations to work for their country’s democratisation. It was the first official confirmation of one of the most notorious KCIA operations to stifle dissent. Kim Jong-pil did not direct the agency at the time of the 1973 kidnapping, and 25 years later he joined forces with Kim Dae-jung and helped him win the 1997 presidential election. He served as Kim Dae-jung’s prime minister from 1998-2000 under a power-sharing plan. The 2007 panel report did not draw a clear conclusion on whether the kidnapping was ultimately aimed at killing Kim Dae-jung, who said his abductors nearly dumped him from a ship at sea a few days after his capture before they stopped when a US military helicopter made a low pass over the vessel. Kim Dae-jung won the 2000 Nobel Peace Prize for his efforts to promote democracy and reconcile with North Korea. Related to Maj Gen Park by marriage, Kim Jong-pil was his number two man for much of his rule. But after a new military junta led by General Chun Doo-hwan seized power through a coup following Maj Gen Park’s death, Mr Kim was accused of corruption and surrendered property worth millions of dollars before moving to the United States. Mr Kim returned to South Korea after Gen Chun, bowing to weeks of massive public protests, allowed a free, direct presidential election in 1987, which marked South Korea’s transition toward a genuine democracy. Mr Kim founded his own conservative party and ran for the hotly contested 1987 election to compete with Gen Chun’s army buddy and government candidate Roh Tae-woo, Kim Dae-jung and another opposition leader Kim Young-sam. Mr Roh won the election largely thanks to a split in opposition votes, and Kim Jong-pil placed fourth. The trio came to dominate South Korean politics in the so-called “era of the three Kims”. Kim Jong-pil had enjoyed a strong support from his home turf in central Chungcheong province and people who valued the rapid economic development during Maj Gen Park’s rule. But he never reached a level of support to seriously contend for the presidency and instead became a kingmaker by exercising his political leverage in presidential races. In 1990, he and Kim Young-sam merged their parties with Mr Roh’s ruling party in a landmark three-way merger, which eventually helped Kim Young-sam win the 1992 presidential election. The merger of pro-democracy fighters and former coup members invited long-running criticism that it dampened democracy. After supporting Kim Dae-jung’s successful 1997 presidential bid, Kim Jong-pil and his conservative party members were given several Cabinet posts in the new government. But their coalition fell apart in 2001 because of a dispute over Kim Dae-jung’s famous “sunshine policy” of engaging North Korea with aid and exchange programmes. Dubbed as “perennial number two man,” Kim Jong-pil served as a member of the National Assembly nine times. He quit politics in 2004 after his now-defunct United Liberal Democrats suffered crushing defeats in parliamentary elections. “I’ve been completely burned to ashes,” he reportedly said in a retirement news conference.